I purchased my first tarot deck at age 12! However, I didn’t begin active study of the cards until age 22, when I took my first tarot class. As my knowledge of the occult and the tarot grew, I found myself drawn to the depth of the “Thoth Tarot” by Aleister Crowley and Lady Frieda Harris, which I have studied for many years. This is also the deck that I use to do tarot card readings. I have intuitive abilities that I use to connect directly with ‘Source’ energy when I am interpreting the tarot cards’ messages for you. I deliver the cards’ messages to you in a straightforward manner. Practical applications of the cards’ messages, that you can implement into your daily life, are also provided for you whenever possible. 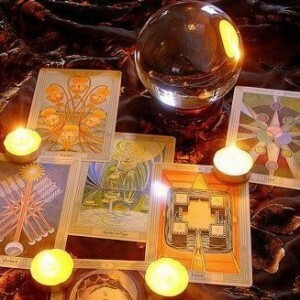 The tarot card reading I provide for you is much more than just a description of what you can expect in the future. What we will look at is what your best course of action would be to facilitate your success in all of your undertakings. When we begin our reading I will ask you to ‘mix’ the cards anyway you like. I ask you to focus on the information you would like to receive during the reading, really getting your energy into the cards. I will then cut the deck three times and begin reading for you. I do not need any information about your situation to read the tarot cards for you. I proceed with a general reading. When I finish with your general reading I ask if you have any questions about the cards, anything I have said, clarification, recap, etc. When we have finished with that, I then ask you; what questions did you come with? We then proceed from there. This of course is a description of an in-person reading. The various nuances of the other types of tarot readings are addressed in the following sections below. I utilize a synergistic approach in reading the tarot cards for you. I utilize the cards as a tool. A point of focus for your reading, bring my skills of claircognizance, ‘clear knowing’ to the forefront. I receive what I call ‘in coming’ information during my readings. I have also developed the skill of connecting with deceased loved ones during my readings. Clarity into the processes you are currently experiencing in your life. Possible solutions to the challenges you are facing. Suggestions on actions you can take to improve your situation, thus empowering yourself. With this information you will be able to put your mind at ease. You will gain a positive focus in your life and new possibilities you had not considered may very possibly be revealed to you. Tarot card readings are available in person, by phone, e-mail or Skype. I am available for tarot card readings, in person, in Aurora and the Denver Metro area by appointment only. 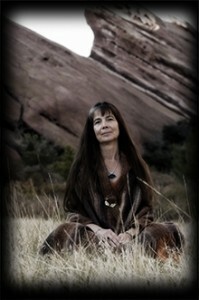 In person readings can be scheduled in my office at the Denver Tech Center or at a coffee shop in Aurora. Please order your reading online. Appointments are available for 20, 30, and 60 minutes tarot card readings via PayPal. You do not need a PayPal account to make a purchase via PayPal. Once I receive notice of your payment via PayPal, I will contact you as soon as possible so we can arrange a convenient time and location for your appointment. Pre-arranged appointments are an efficient way to guarantee that I will be available to give you a tarot consultation at a convenient location and time. My schedule is flexible and I strive to make accommodations for everyone who wants a tarot card reading with me. All readings, consultations and Reiki Healings are held in the strictest of confidence. If you are not in the Denver Metro Area or simply desire a totally private consultation with me – that is completely doable! I am happy to provide your reading over the phone or via Skype. It really makes no difference as to the quality and accuracy of information you will receive from me. I have provided many phone readings to clients from all parts of the world. Appointments are available for 20, 30, and 60 minutes tarot card readings via PayPal. You do not need a PayPal account to make a purchase via PayPal. If you require a reading immediately (within the next 12 hours) please consider a phone reading. I can usually get a phone reading scheduled very quickly. Skype readings are audio only. Once I receive notice of receipt of your payment via PayPal, I will contact you as soon as possible so we can arrange a time for your pre-scheduled appointment. During a phone or Skype reading I will mix the cards for you. I ask that you focus in on the fact that I am currently shuffling the cards. Really tune in to the cards as they are being shuffled. And when you feel that they have been sufficiently mixed, tell me to stop. At that time I then cut the deck three times and begin reading for you. I do not need any information about your situation to read the tarot cards for you. I proceed with a general reading. When I finish with your general reading I ask if you have any questions about the cards, anything I have said, clarification, recap, etc. When we have finished with that, I then ask you; what questions did you come with? We then proceed from there. E-mail readings are great for several reasons. First and foremost you can remain totally anonymous, no appointments to keep and complete flexibility and privacy. Some clients just prefer the convenience that is provided by an e-mail reading. E-mail readings are the same price as in-person and phone readings. Please order your reading online. Appointments are available for 20, 30, and 60 minutes tarot card readings via PayPal. You do not need a PayPal account to make a purchase via PayPal. Once I receive notice of your payment via PayPal, I will contact you as soon as possible so we can arrange an appointment time. At that time you would respond to my email letting me know that you would like an e-mail reading. In that response please provide me with the following information: Your first name and any information you feel is pertinent for me to know in 200 words or less. If you provide more than 200 words I will only take the first 200 words into account during your reading. Blessed Be the Concise. I will take a photo of the card layout and attach it to your email reading. You can expect to receive you email reading in 2-3 days time. All readings, consultations and Reiki Healings are held in the strictest of confidence. To know. To will. To dare. To keep silent.